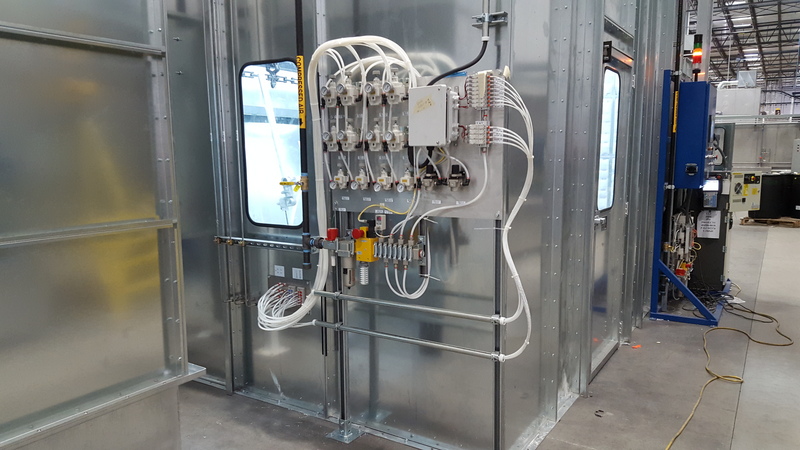 Regardless of your needs Oakland Automation can design a paint booth and oven to meet your specific needs. Oakland Automation works with leading fabricators to engineer, design and build spray booths and ovens to optimize your production. Depending upon your process and environmental needs, Oakland Automation can and will develop the right finishing system for you.